It is a known fact that if the checkout process is not easy and quick then cart abandonment rate for a shopping site starts showing an unwanted upward spiral. Magento 1 users are quite familiar with the tedious 6 step default checkout process. It is not only lengthy but a bit complicated to understand. The first step itself leaves customers confounded whether to login with an email address or any other login id. Unless the customer is exceptionally loyal to the particular e-commerce site he would definitely abandon his shopping cart. Magento has tried to better the checkout process in the second version through its Magento One Page Checkout by reducing 6 steps to 2. But it still lacks in offering customers personalization features like gift wrapping. Looking at the various flaws in Magento’s default checkout processes, many extension providers have come up with different one step checkout extensions. Here are the top 5 checkout extensions for Magento 1 and 2 in the market for you- to choose for your Magento e-stores! Magebay has come up with an easy to use and mobile friendly one step checkout extension for both Magento 1 and 2 platforms. With the checkout steps simplified, the cart abandonment rate decreases, thus improving the overall sales. Through this affordable extension Magento e-store owners are able to increase their profits without any huge investment. With more people using mobile devices for internet searches and online shopping, it has become necessary for a website to be mobile friendly. 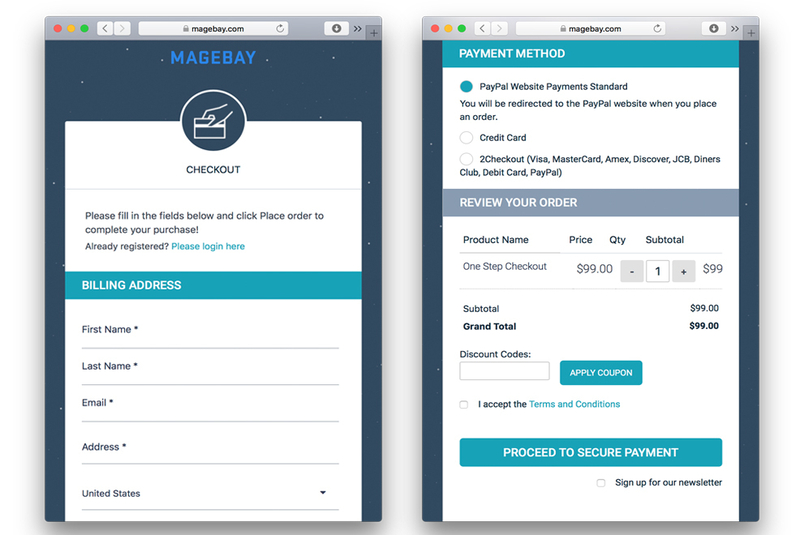 Magebay’s Magento One Page Checkout is able to fit itself into any handheld device’s screen size. With the checkout process easy to use on mobiles, people find shopping more convenient and satisfying. It becomes tiresome to add lengthy personal details like address (shipping and billing address). Magebay’s checkout process is able to auto-fill such information through the Geolocator, thus saving customer’s time and energy. A customer is now able to make changes to his shopping cart items at the checkout process itself. He/she can also add comments or subscribe to a newsletter on the same page. - Now there is no more confusion about the login procedure. The customer can now checkout as a guest, a registered user or even use his social media login for checking out. All these features that not only help build the trust of customers, but also help with sales are available for just a one-time payment of $95. The Magebay team also provides free technical support for its checkout extension to all customers. - Support almost popular payment methods: Paypal, Paypal pro, Moneybookers, Sagepay, Check and Credit card, 3D Secure Authorize.net, 2Checkout, Icepay and More than 30 other checkout methods. - Customer can leave a comment for the order. Recently Magestore has stopped providing single extensions. It is focusing on its Omnichannel solution for online and offline Magento business. For its existing customers it is still providing support, but no customization or installation. - More than 50 payment methods supported. - Gift wrapping, gift messaging, and newsletter subscription are available in the checkout process. Amasty has been providing various Magento extensions for 8 years. It's one step checkout for both Magento 1 and 2 is user-friendly, customizable and easy to install. Place all checkout steps on one page to speed up the whole shopping process and significantly enhance customer satisfaction. Use Google Suggestions to help visitors instantly complete address fields and let them easily edit product options right on the checkout. 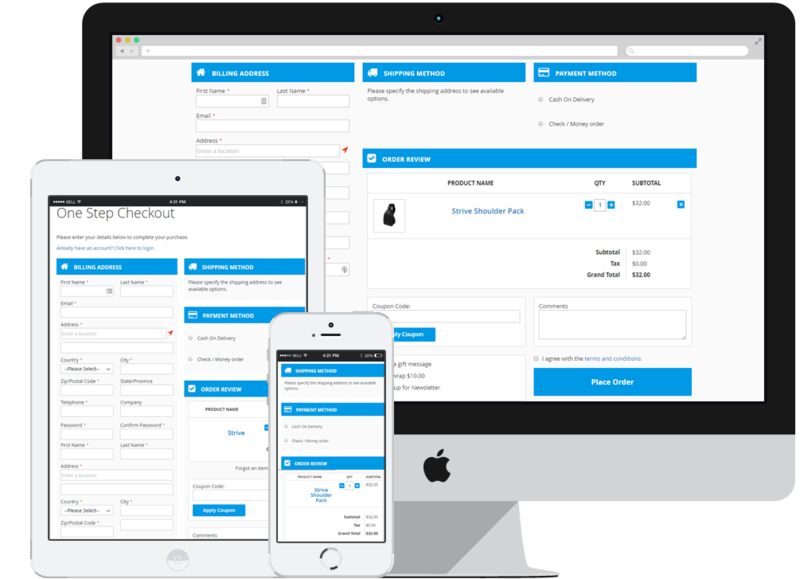 - It can be configured to display various checkout fields in different layouts. - Checkout extension can be customized according to the existing website. Though the Magento one page checkout extension by Amasty has various features, one of the drawbacks of this extension is that the gift card option in the checkout process comes as a different extension. The pricing of the extension is also on the higher side. The community edition is priced at $149 with just 3 months of free support. The enterprise edition is priced at $349. For both the editions, the installation service charges are separate. In order to get support for more than 3 months customers will have to shell out extra money. 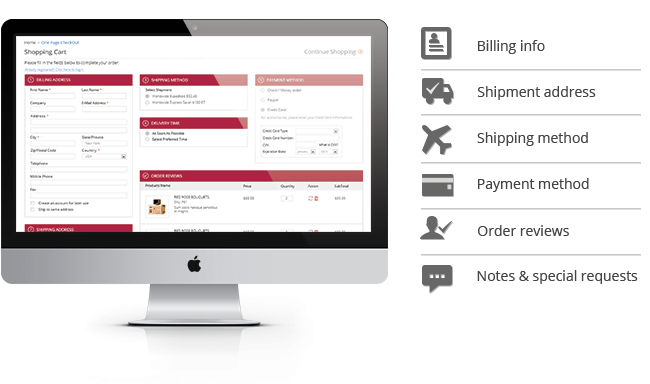 Mageplaza has developed a comprehensive one step checkout for Magento platform. Magento 2 One Step Checkout extension by Mageplaza helps reduce the abandonment rate as well as increase the conversion rate dramatically. Though Mageplaza provides its Magento one page checkout extension with free one year support, it charges extra for installation service. The extension along with installation charges is priced at $249. 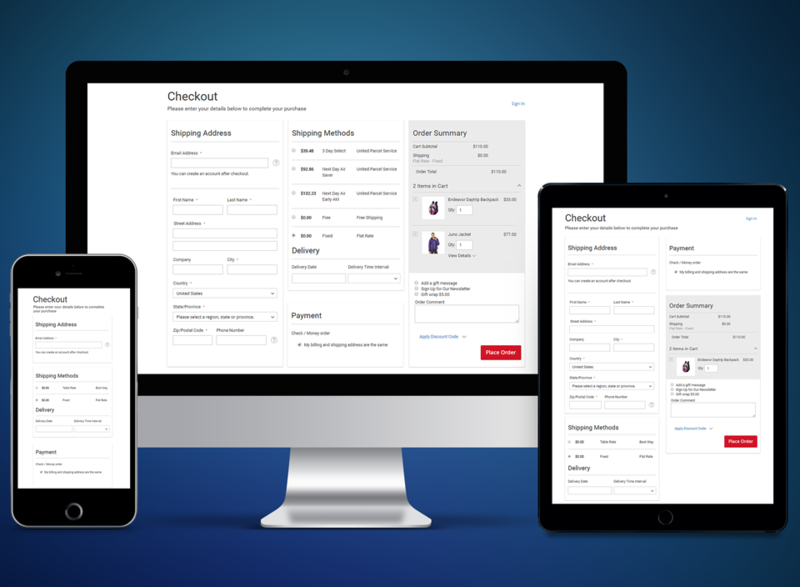 Reduce the required steps in the default checkout process from 6 steps into 1 step and increase completed checkout rates by a simple process for customers! Though the extension is moderately priced at $53.35 for standard payment option, most of the special features mentioned above like responsive design or auto-updating the cart come as a different extension. In order to experience all the great features of the checkout process the customer will have to buy different extensions. The total cost of the checkout extension along with all the desirable extensions together amounts to an exorbitant $352.64. No one wants to lose a customer at the billing counter. By making the checkout process simpler and quicker the store’s sale automatically improves. It is a small change that has huge benefits. For any checkout extension to be suitable for all types of business it should not only have all the required features in one place, but it should be priced to fit even small and medium businesses. Looking at the available Magento one page checkout extensions in the market today, Magebay stands out with its unique pricing and special features. You do not have to buy extra extensions in order to get all features of one step checkout. No extra costs for technical support too. It is an easy to customize, all in one checkout extension that would definitely give a boost to your business.